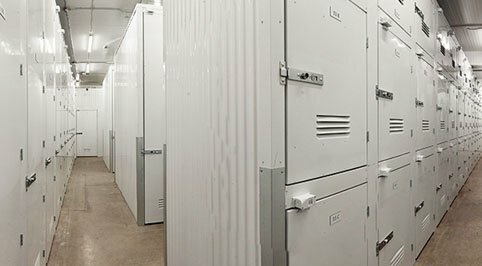 Located in the heart of North Vancouver, Griffin Wine Storage employs the latest in commercial climate control technology and materials. We have designed a wine storage facility like no other. Your wine is stored in individually alarmed, custom wine lockers, accessible only by you, whenever you want. A home cellar is great but not ideal for receiving and storing a large (and growing) inventory of wine in the case – especially when long term aging is desirable. With state of the art commercial grade temperature and humidification control, emergency back up and 24/7 climate and security monitoring (including video surveillance), you can be confident that your wine is safely getting the love it needs to age properly. 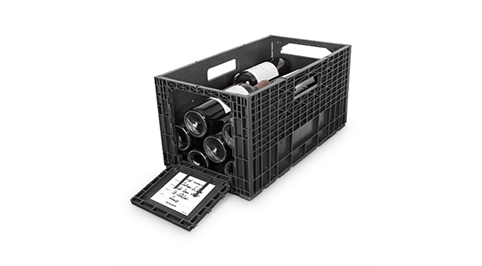 Ask us about our wine services including pick up and delivery, inventorying your cellar including labeling and inputting your wine into Cellar TrackerTM. Access - Normal business hours are standard for security reasons but 24-hour, 7 day a week access is available by previous arrangement. Additional security screening may be required. The Tignanello Lounge is a great place to open a bottle and meet fellow wine enthusiasts, wine agents and importers. Adjoining Cellar meeting room is perfect for wine tastings or meeting of up to 18 in a boardroom configuration. 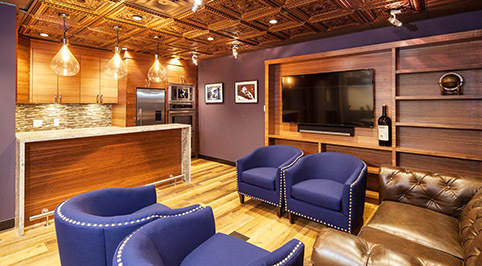 Large screen TV’s are ideal for catching the big game. Receiving Services – We are happy to receive shipments for you which can be placed in your locker by prior arrangement.